With the possible 20%+ cash back promotion going on with Discover and Apple Pay, you might be trying to figure out how to maximize the promotion. The purchase of gift cards is excluded in the terms, but whether or not that is enforced is unsure. 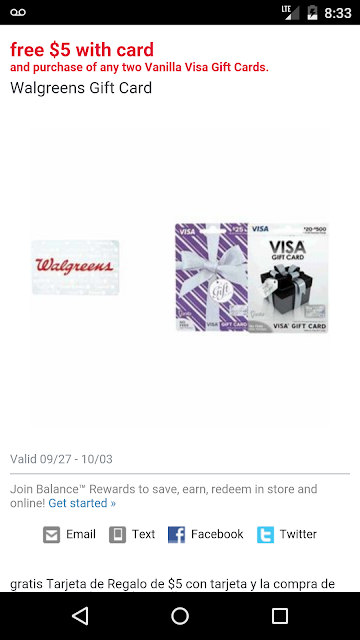 I've used this deal twice already at 2 different Walgreens. I purchased 2 $500 Vanilla Visa Gift Cards with my Discover card via Apple Pay. Both times the cashier didn't know how to get the offer to work on the register and ended up having the manager just give a $5 gift card seperate of the transactions. One thing to keep in mind with these gift cards is that you CANNOT load them onto Bluebird/Serve accounts. You CAN load them onto a RedCard prepaid. So be aware when trying to liquidate these gift cards.